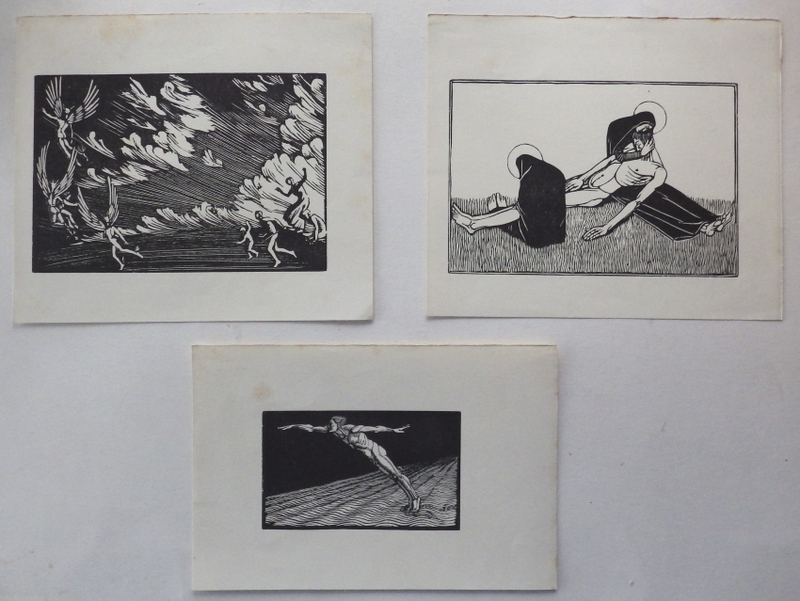 Gwen Raverat: 3 woodcuts, probably from the Modern Woodcutters series published by the Morland Press in 1920-1. Image sizes 100 x 150mm, 60 x 100mm & 105 x 150mm, Some foxing to margins. Category: Miscellaneous. Tag: Gwen Raverat woodcuts.